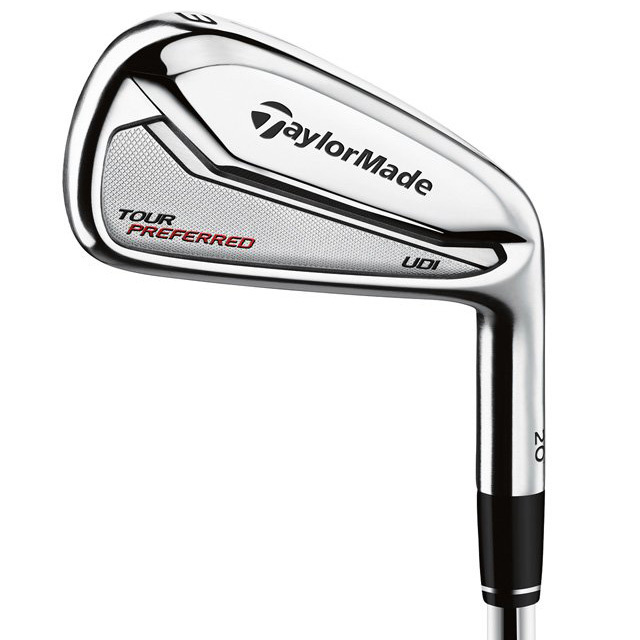 The TaylorMade Tour Preferred UDI Driving Iron features a hollow construction with a 450 carpenter steel face. Tour players requested a club with the distance and forgiveness of a utility but with more workability. The TaylorMade UDI was put into play in the first week by Justin Rose. The TaylorMade Tour Preferred UDI has a Speed Pocket, which allows the face to flex, creating distance, consistency, and high launch. The TaylorMade UDI is available in 3 lofts, #1 (16*), #2 (18*), #3 (20*). It comes stock with a KBS Tour C-Taper Lite Shaft and is a Tour prototype club with very limited availability. Click Here to learn more about the TaylorMade Tour Preferred UDI Driving Iron. InTheHoleGolf.com is your #1 resource for golf equipment, golf clubs, and golf training aids. See our huge selection of golf carts, golf balls, golf drivers, golf gifts, golf shoes, golf irons, golf accessories, golf bags, golf putters, golf wedges, hybrid golf clubs, golf apparel, ladies golf equipment, golf push carts and golf tips. If you searched for discount golf, golf swing, golf fitness, Sun Mountain speed cart, Clicgear cart, or junior golf clubs, you're on the right site. We have the golf GPS, golf swing video, golf instruction, golf tees, golf simulators, golf store, golf shop, and most products that are golf related. We carry over 100 brands including Ogio, Tour Edge Golf, Bag Boy Golf, SkyGolf GPS, Sun Mountain Golf and Tour Links.